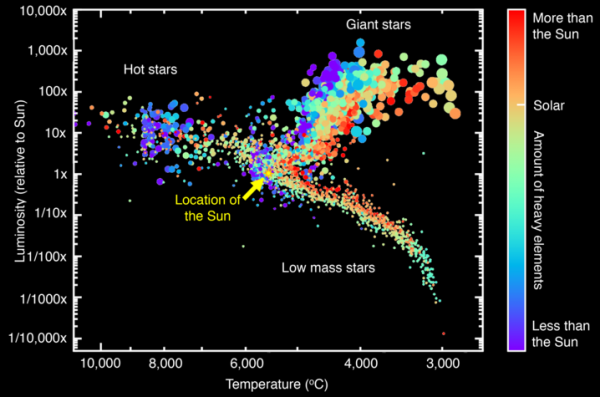 A Hertzsprung-Russell diagram of all stars currently in the MaNGA Stellar Library, showing temperature and brightness (luminosity) of stars, along with information on their chemical makeup. Photo courtesy of SDSS collaboration. Want to learn everything there is to know about a subject? Go to the library. Want to learn everything there is to know about stars? Go to the stellar library.